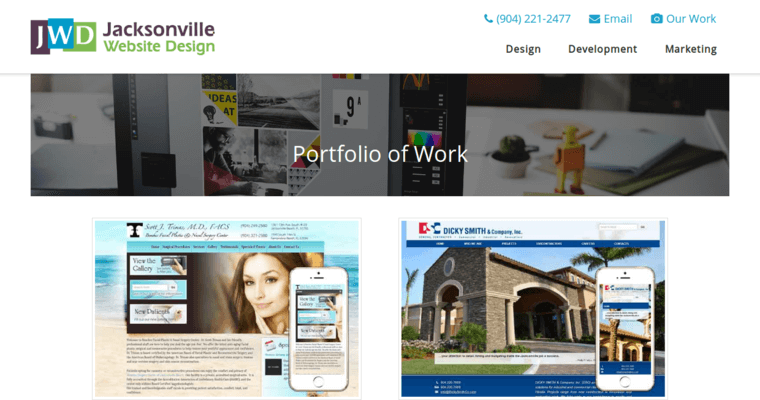 Jacksonville Website Design has been combining their graphic design and programming knowledge to create websites that provide a user-friendly experience since they were founded in 2007. They start by learning about your business, brand and goals. They then use bold design and content to convey this to the visitor in a way that entices them to become your customer. These are responsive websites that look and perform exceptionally across multiple browsers and various internet devices. 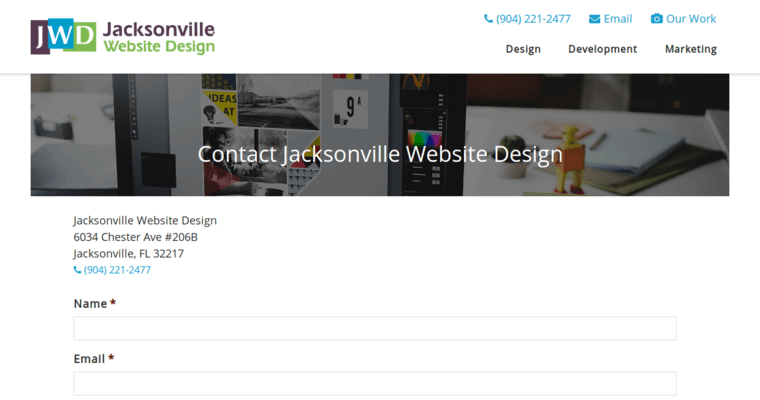 The team at Jacksonville Website Design are committed to helping you grow your business online through the results they will help you get. They are experts at mobile app development, e-commerce solutions and WordPress development as well. Their digital marketing team then helps you get your website found through search engine optimization, pay-per-click marketing, e-mail marketing and social media promotion services. 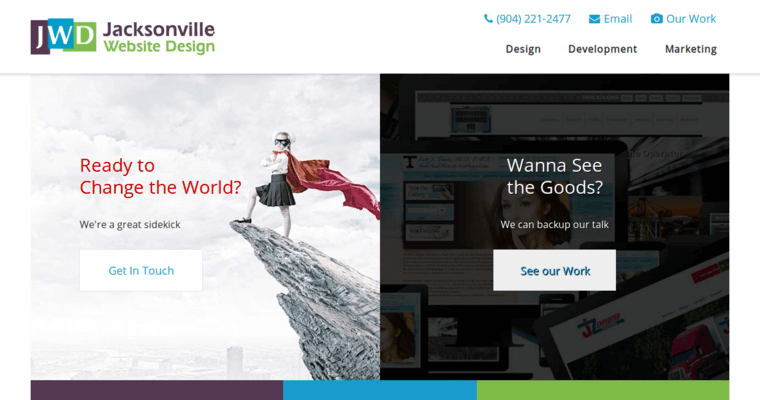 Jacksonville Website Design provides secure web hosting for your site, which includes an e-mail service.